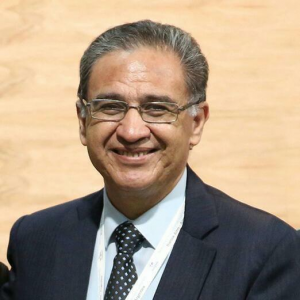 Elder Raúl López Espinoza, president of the Mexican Conference, passed away June 19, 2018, in Cuauhtémoc, Chihuahua. He was president of the general executive board and a faithful soldier of Jesus Christ. Brother Espinoza leaves a legacy of love, commitment, dedication, joy, and passion for ministry. He was a pastor in different congregations, a superintendent, a member of both the general executive board and board of directors, a national director of Christian education, a writer, director, and an instructor at the SEM. We join in prayer beseeching our God to comfort and strengthen Brother Espinoza’s wife, Elizabeth Esparza-Plata, and his children, Adriel and Mariel. The righteous perishes, and no man takes it to heart; merciful men are taken away, while no one considers that the righteous is taken away from evil. He shall enter into peace; they shall rest in their beds, each one walking in his uprightness (Isaiah 57:1, 2, NKJV).